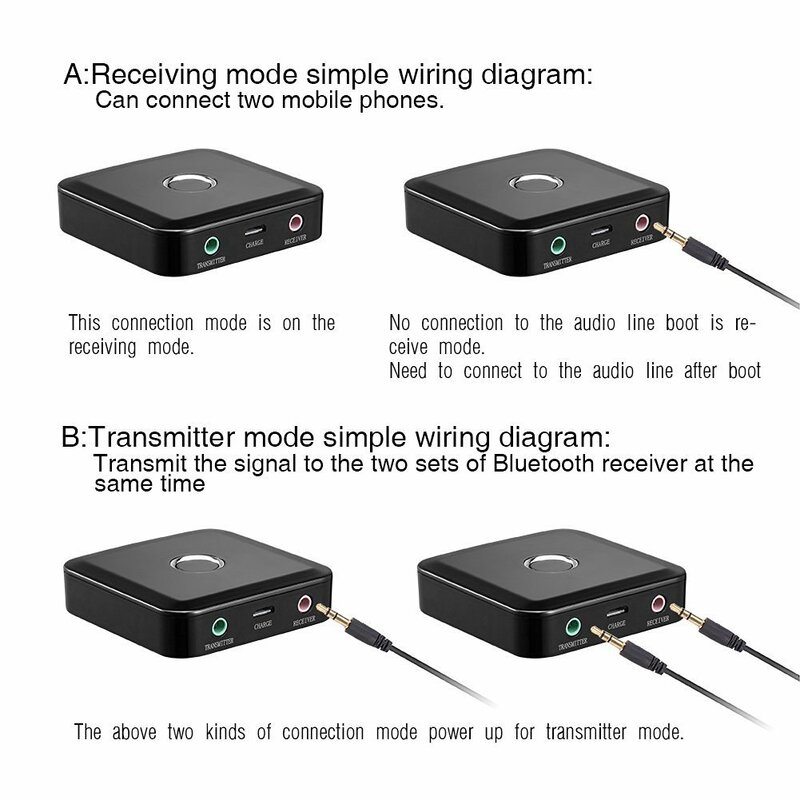 Bluetooth music two in one receiving transmitter. 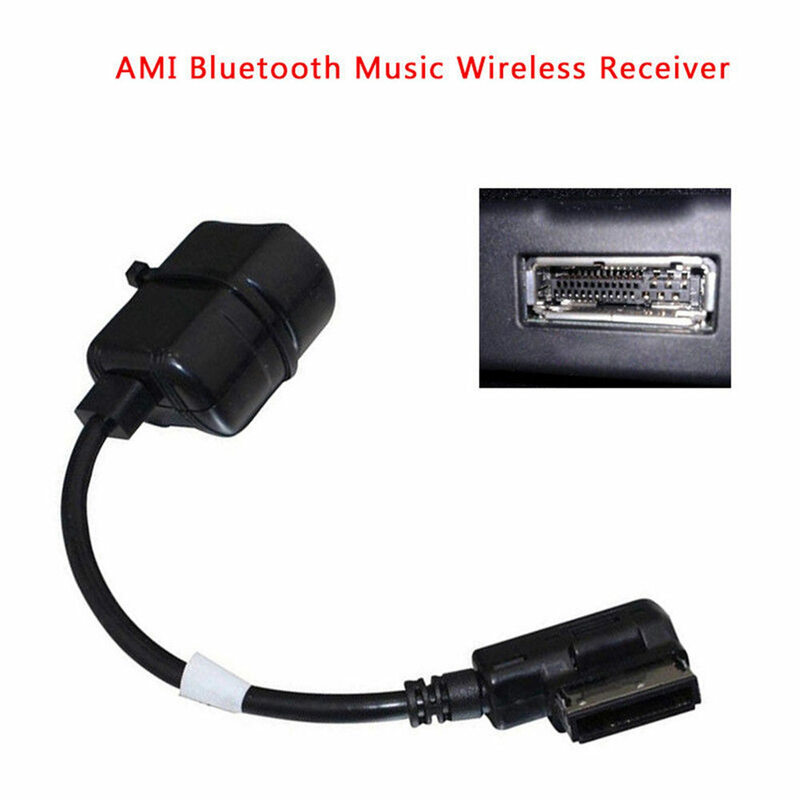 Using CSR BC5 Bluetooth chip, music can be transmitted to two receiving devices at the same time. No delay, no bottom noise, receiving and transmitting all achieve two functions. 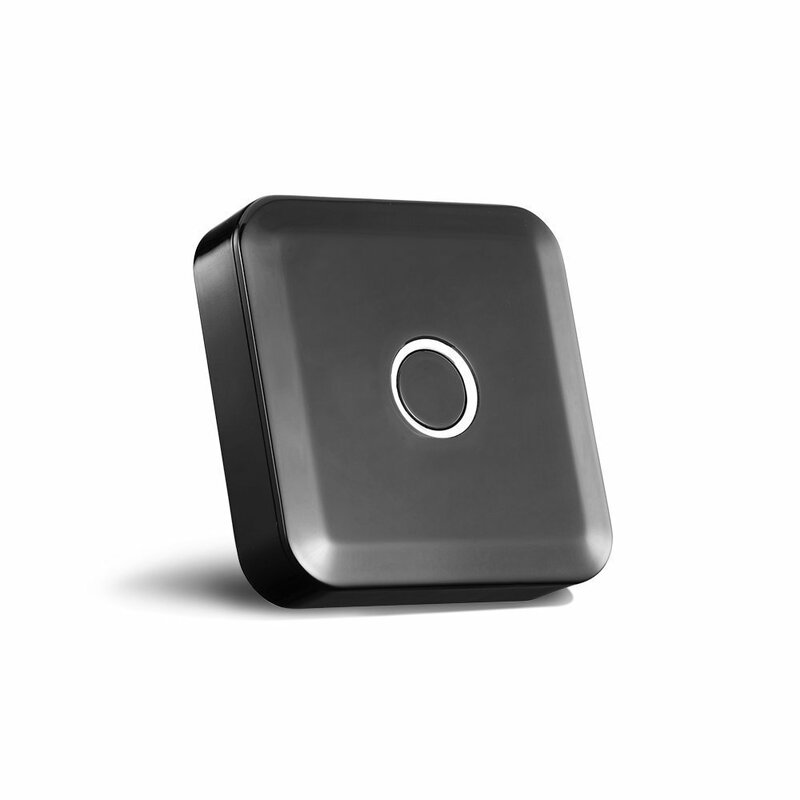 Wireless distance: greater than 10 meters. 1. 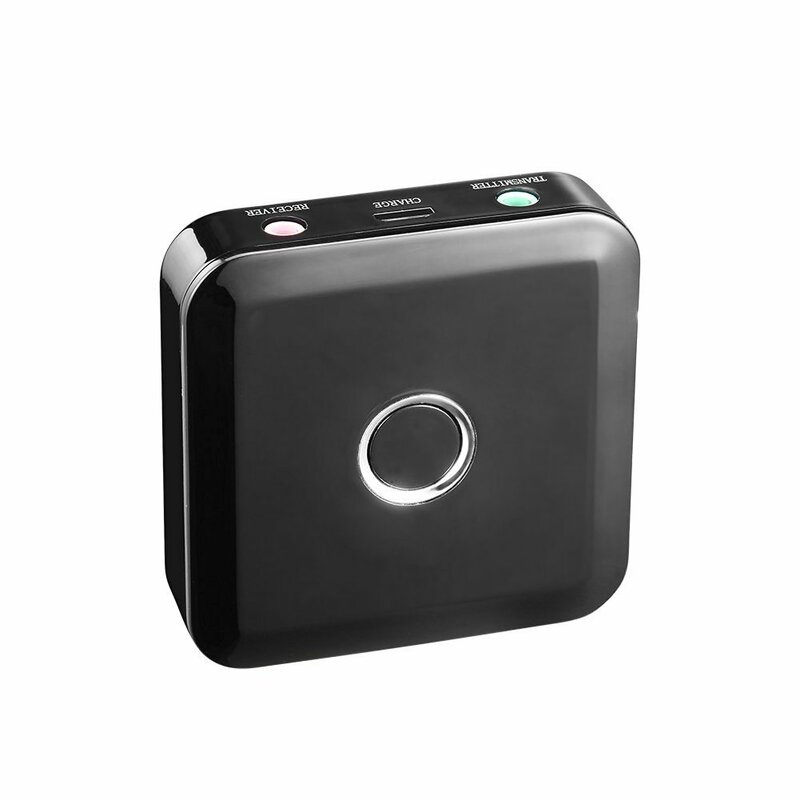 TX11 can wireless transmit the voice of TV laptop TV box MP3 to Bluetooth receiving devices such as Bluetooth headset, popular SUNDBAR, Bluetooth speaker, traditional power amplifier (need Bluetooth receiver). It saves the trouble of wiring for customers. With TX11 speaker, it can be placed arbitrarily according to user\'s preferences without wires. The constraints can also achieve perfect sound effects, not only that, but also suitable for night owls in specific circumstances, such as watching the World Cup, midnight drama, etc. Users only need to bring Bluetooth headsets to watch by themselves, without affecting the rest of their families and neighbors. 2. 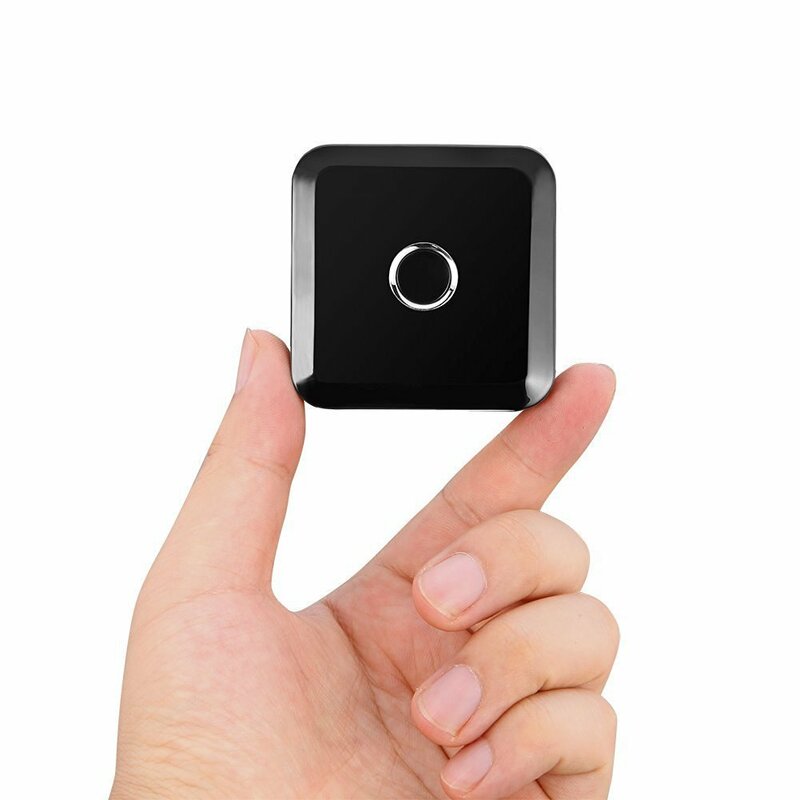 TX11 is also a Bluetooth music receiver, which can easily upgrade traditional audio to Bluetooth audio. The connection of TX11 is very simple. 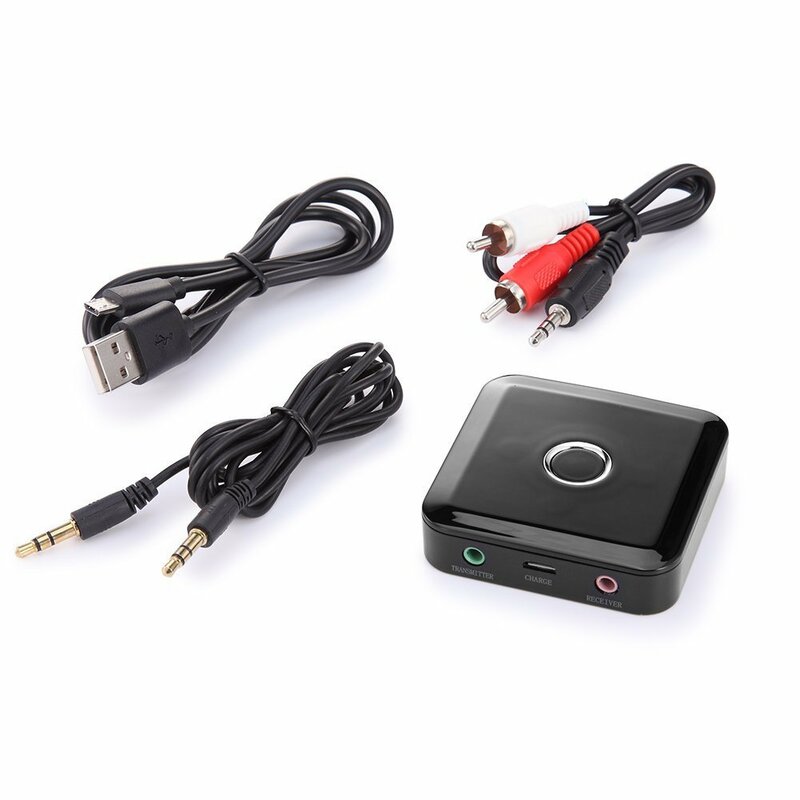 Referring to the following figure, the popular audio output has RCA (Lotus Interface) and 3.5MM interface. If it is RCA interface, the RCA wire in the accessories is inserted into the interface of TV corresponding color. 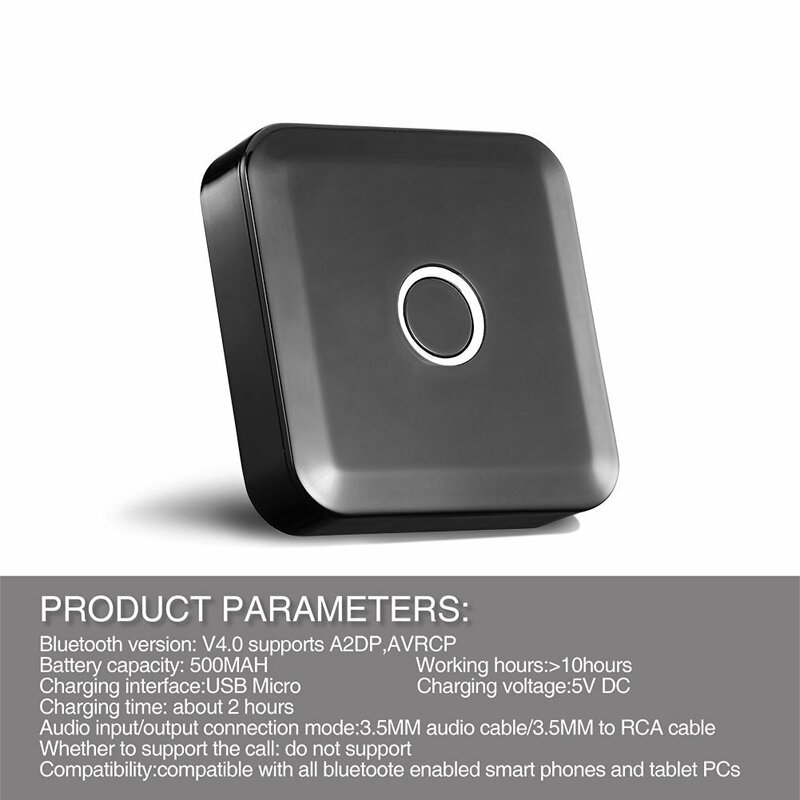 The other end of the line is connected with RXT\'s 3.5MM interface. 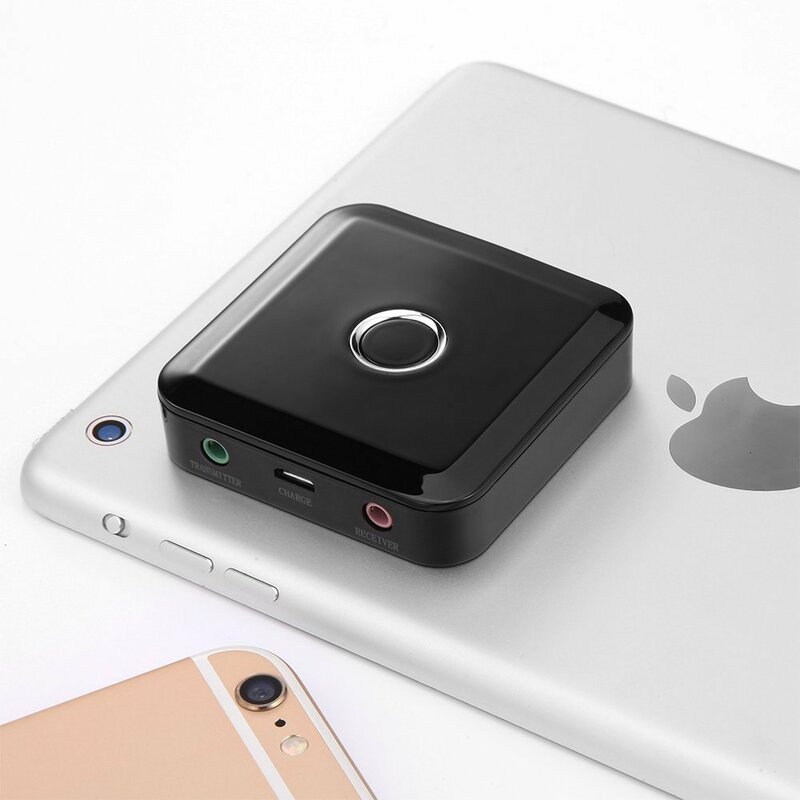 If the audio output port is 3.5MM headphone port, the connection is simpler and the accessories are directly inserted. One end of the audio line is connected to the source and the other end is connected to TX11. One to two matching methods: Bluetooth headset A and B to explain. 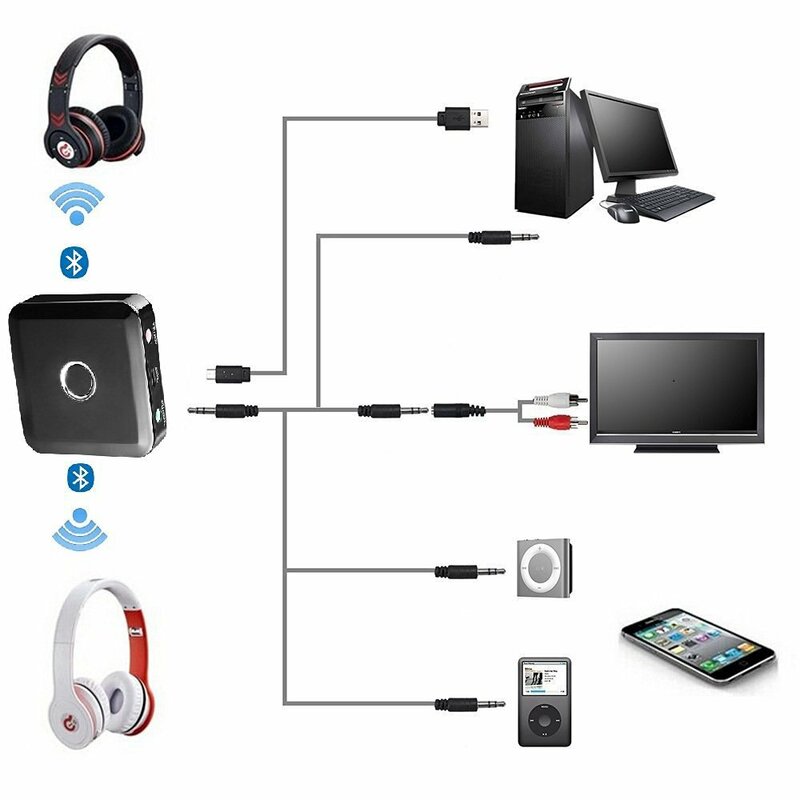 1, turn on the A and B headphones into the pairing state. 2. Turn on TX11 and press the matching key to alternate flashes of red and blue. At this time, the device is looking for matching. In a few minutes, it will match a headset successfully, such as A headset. 3. Press the TX11 pairing key again to enter the alternating red and blue state, while the device is looking for a pairing device. It will pair the headphone B successfully in a little time. 4, the wonderful music starts with two headphones at the same time.